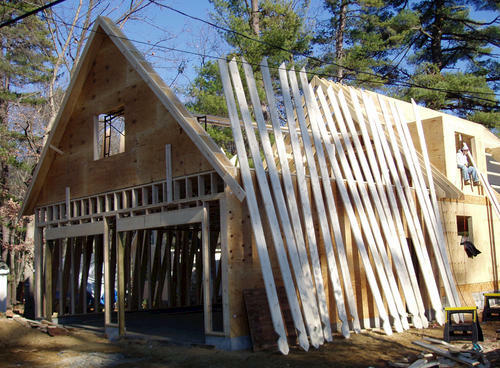 This packet includes detailed step-by-step instructions for use during the planning and construction of any Garage. 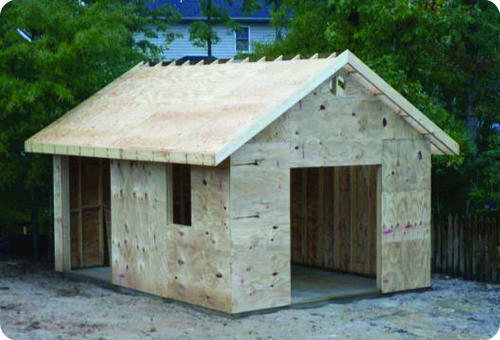 This packet includes detailed step-by-step instructions for use during the planning and construction of any Shed. Custom Deck Plan. Includes Three Deck Sizes. 14' x 18' or 14' x 20' or 14' x 22' Deck w/ Grill Bump Out. Complete building plan includes dimension view, beam layout, 3d view, cross section view, construction overview, material "pull" list and material "use" list. Also includes a Detailed cut list showing the cut lengths of the deck framing. To help along with step by step instructions, also purchase DIY "Build A Deck" plan # CAD5501 that is part of this project plan series. Other Project Plan catagories include Decks, Pool Decks, Gazebos, Sheds, Garages and Project Plans. 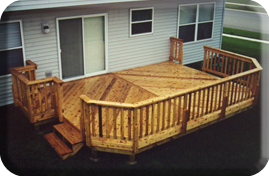 This packet includes detailed step-by-step instructions for use during the planning and construction of any Deck.